The new Apple target points to a more select audience, according to the news coming from European lands, which ensures that the Apple company would be thinking of charging between 4,000 and 5,000 dollars for the model of its Apple smart watch covered in gold. 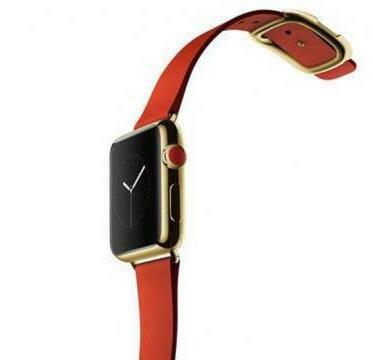 Although the price seems exaggerated, it would actually be half of estimated for this smart watch covered in gold. Apple has already given a hint about which sector they want to address with their Apple Watch, and above all, Apple Watch Edition: fashion. In fact, the company exhibited several models of watch in a select boutique during Fashion Week in Paris. When talking about the performance of the product, from “Business Insider” they point out that, for example, a Rolex gold never could get for $5,000. Furthermore, Apple would face a problem, because their watch is smart and technology, applications and timings will become obsolete in a short period of time, so you pay $5,000 for an Apple Watch might not be profitable. On the other hand, a Rolex gold worth $ 20,000 will in the following decades.